A Christmas choir will entertain visitors as they travel by canal boat through Dudley's caverns and limestone mines. The onboard singers will perform unaccompanied four-part harmonies during the unique hour-long concert which will visit tunnel locations such as Cathedral Arch and the famous Singing Cavern. Festive favourites on the programme include Ding Dong Merrily on High, God Rest Ye Merry Gentlemen, Coventry Carol and Silent Night. Boats depart for the concert at 6pm on Sunday December 14 and 21. 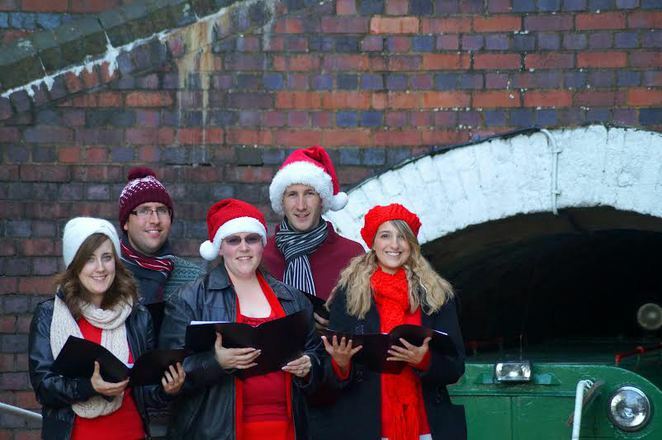 Tickets are £10.80 which includes the travel around the caverns in one of Dudley Canal Trust's special electric tunnel tripping boats, as well as a hot drink and a mince pie. "We're thrilled to be hosting this show in our limestone mines and caverns," says Nick Morris, Chief Executive of Dudley Canal Trust Trips. "The acoustics in our underground tunnels are unique and we look forward to welcoming audiences for a very enjoyable evening." Nick also appealed for children to send Christmas cards to the Trust so the cavern's Santa Claus can decorate his grotto. "We're hoping to fill Santa's underground home with Christmas cards from local children," Nick says. "Looking out for the card you've sent will be just one of many magical experiences visitors get when they come and see Santa with us." Boats to see Santa depart on weekend dates between December 7 and 21, and also Monday December 22, for a one-hour trip into the caverns. Tickets are £10.80 which includes a hot drink and a mince pie for adults and a gift for children. 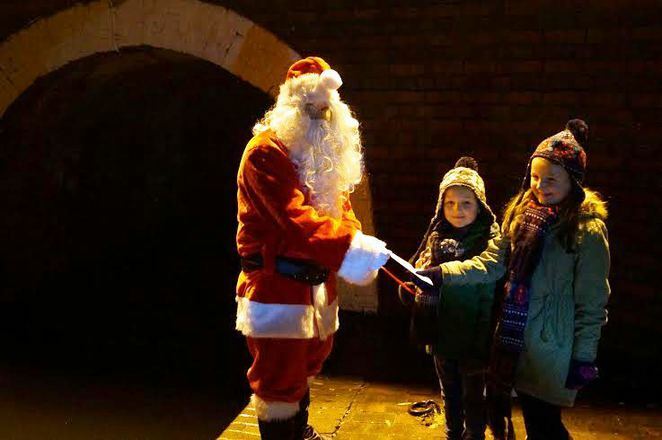 Cards should be posted to Father Christmas c/o Dudley Canal Trust Trips Ltd, 501 Birmingham New Road, Dudley DY1 4SB. Established in 1970, the Dudley Canal Trust was created to protect and preserve a spectacular network of underground canal tunnels carved beneath the region to mine the raw materials that powered industrial growth. Why? Get into the Christmas spirit with festive favourites and a visit to Santa.